Jeebs Arena was originally created to allow players access to boss enemies that were implemented before their respective dungeons were. However, some bosses who now are accessible via their intended dungeon are still available to fight in Jeebs Arena. 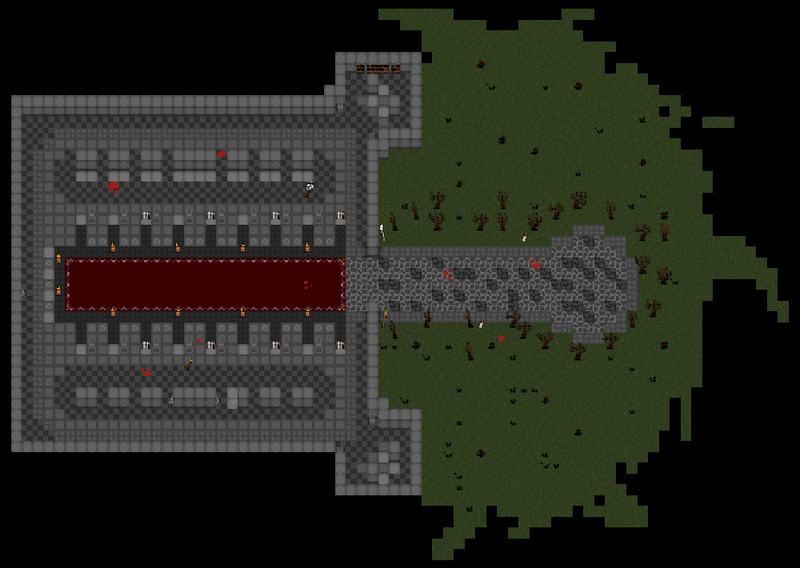 Jeebs Arena is a small map, with one room and entrance. At the rear of the hall is Jeebs. Jeebs will begin speaking to players, and soon gives players the opportunity to choose an enemy to fight. In a large crowd, players will spam the chat during the enemy selection phase. This is the only time chat spam is permitted in-game. Jeebs Arena item drops are dependent on the roster of available enemies. Since this roster may change at any time, please refer to each enemy page above for their item drops. For larger groups (15+), Oryx the Mad God 2 is a good choice, as he has drops a wine cellar portal that leads to Oryx the Mad God 3, which has a larger loot pool than most bosses present in the Jeebs Arena. The Swamp Spirit is also a viable but less popular option, probably due to its smaller loot table and less familiar behavior. For medium sized groups (5 - 10), the Queen of Hearts is a better choice because the fight will not take as long as defeating Oryx would, and she has a decent loot table with some rare white bags. Do not solo Jeebs Arena unless doing so for the challenge. Buy an Ocean Trench Key if soloing Thessal is desired.